Microbiome biopharmaceutical group, Immuron Limited (ASX:IMC), continues to deliver strong fiscal 2018 sales growth in relation to its over-the-counter gastrointestinal and digestive health supplement Travelan®. Global Immuron Ltd sales revenue reached $2 million, maintaining its upward trend with sales up more than 45 per cent compared with fiscal 2017. 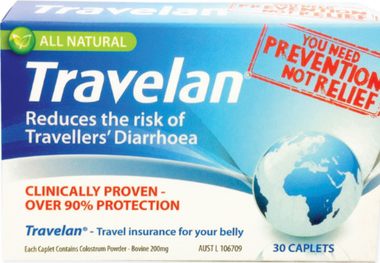 In Australia, Travelan® sales increased 19 per cent, while substantial growth was generated overseas. US Travelan® sales continue to exceed expectations growing to $765k which represents a 112 per cent increase over FY17. 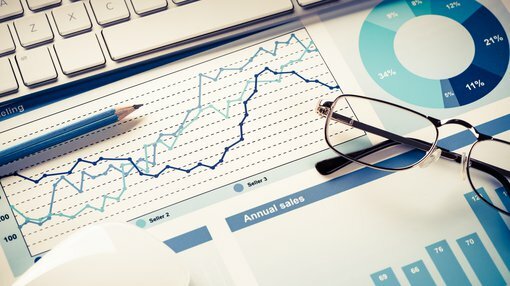 It should be noted that continued sales growth at this rate is speculative, so investors should seek professional financial advice for further information if considering this stock for their portfolio. From a broader perspective, Immuron is an Australian company focused on developing and commercializing orally delivered targeted polyclonal antibodies for the treatment of inflammatory mediated and infectious diseases. The company currently markets and sells Travelan® for the prevention of travelers’ diarrhea and its lead clinical candidate, IMM-124E, is in Phase II clinical trials for Non-Alcoholic Steatohepatitis (NASH), Severe Alcoholic Hepatitis (SAH) and Pediatric Non-alcoholic Fatty Liver Disease (NAFLD). Immuron’s second clinical stage asset, IMM-529, is targeting Clostridium difficile Infections (CDI). 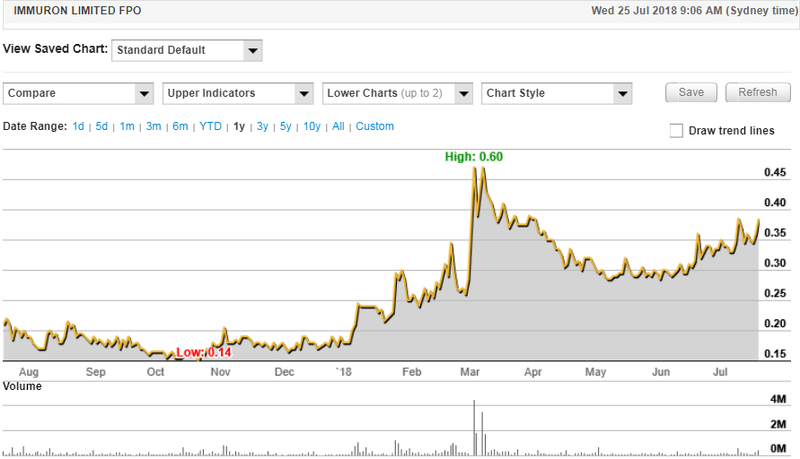 The company’s shares have traded strongly in the last month on the back of a patented grant for its Non-alcoholic steatohepatitis (NASH) treatment and successful progress with a research collaboration arrangement with the US Department of Defence. Importantly, the strong sales of Travelan® in the first three quarters continued into the June quarter, perhaps an indicator that momentum should continue in fiscal 2019. US Travelan® sales were assisted by exceptional fourth quarter sales of $265,000 which is a 47 per cent increase on the same period last year. In Australia, fourth quarter Travelan® sales of $350,000 represented a 53 per cent increase compared with the previous corresponding period. Attributing a significant part of the success to the company’s marketing strategy, Dr Jerry Kanellos, chief executive of Immuron said, “Our focused marketing efforts demonstrated by the team are helping to build awareness and educate both consumers and travel medicine clinicians on the benefits of Travelan®. “We are confident that our sales growth will continue as our marketing strategy builds upon this exposure”.